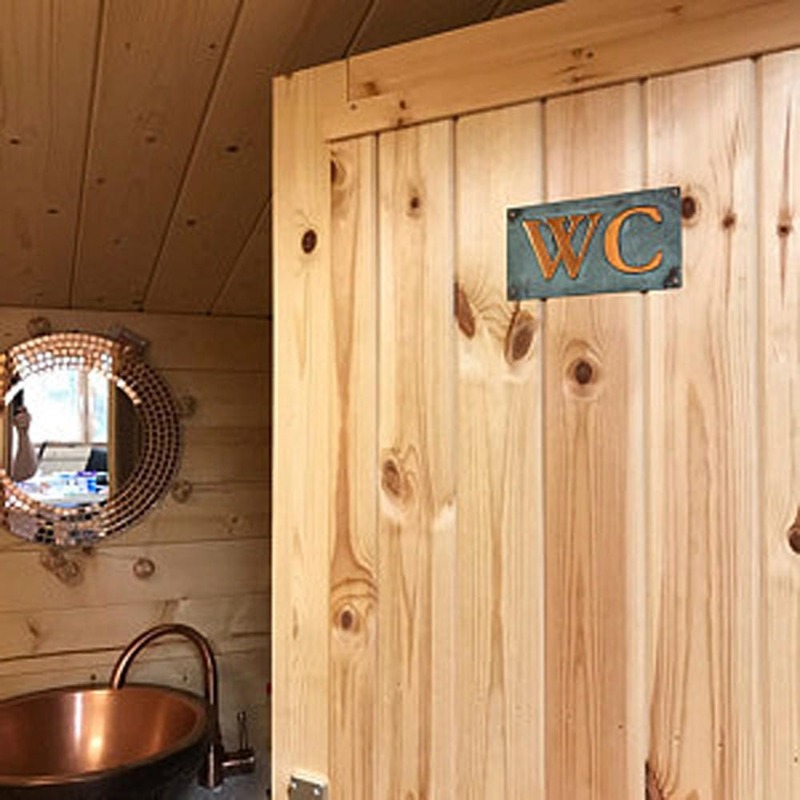 Copper plaque WC toilet lavatory sign in 2"/50mm Garamond made from one piece of eco friendly copper - this is a 99% recycled product. Or your custom order initials ? Numbers are fixed onto wood, metal or brick with copper rose head nails or brass round head screws. 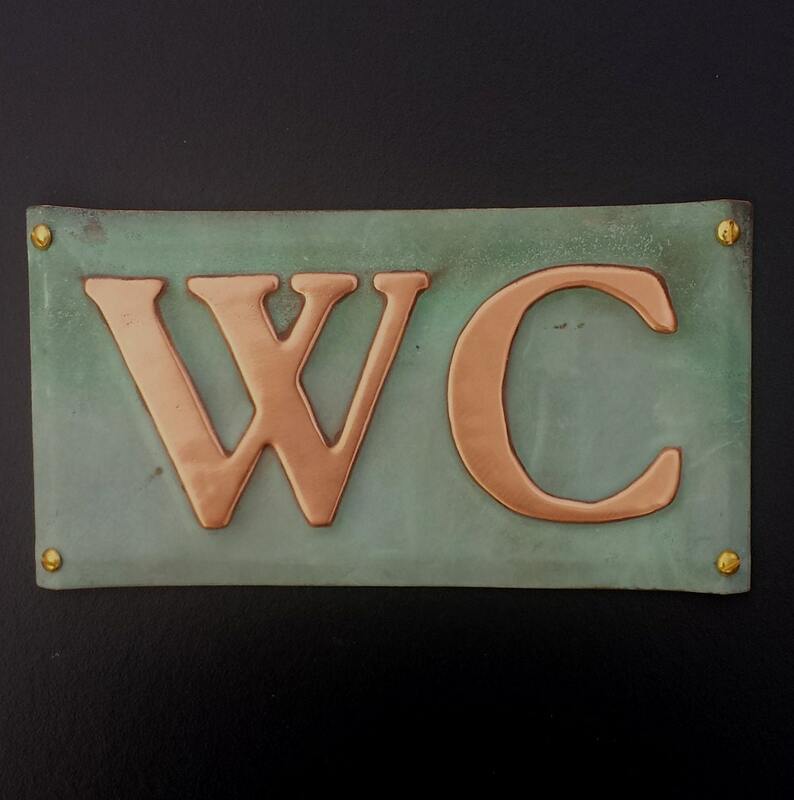 'WC' sign in 2" high Garamond - approx size 14 x 7cms/5.5 x 2.75"
Absolutely love it! Looks amazing in my log cabin training room - stylish and good quality. Very very cool. Thank you!